More #Boston area lightning and cloud photos from Tuesday’s weather. 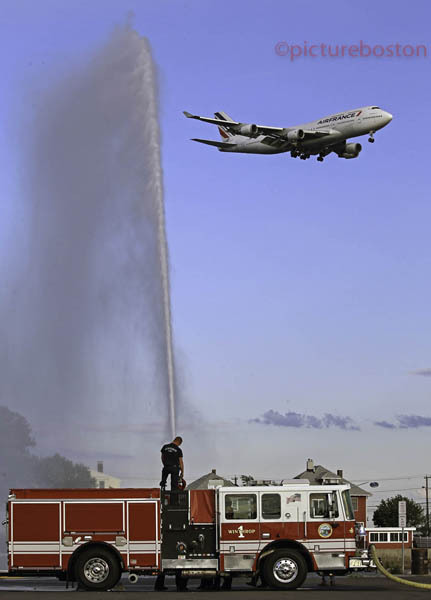 Four significant thunderstorms affected the Boston area Tuesday. That’s four separate opportunities for me to photograph lightning during, and then after, my shift as a Boston Herald photographer. I chase most of the thunderstorms that come our way. We in the Boston region experience an average of 30 days of thunderstorm activity per year, according to Wikipedia. A brilliant lightning storm was the first of these Tuesday events, striking during the morning commute. The thrust of the lightning seemed to be affecting South Boston to Quincy, before exiting out over Winthrop, and the open waters. 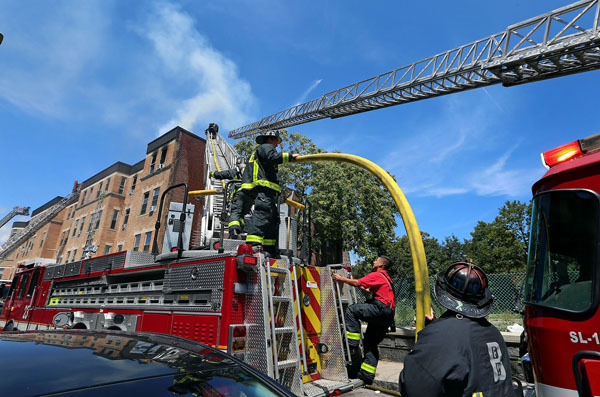 I positioned myself in a safe place in Southie and set up my tripod. I was disappointed with the results. It seemed that every place I pointed my lens at, the lightning would be in a different spot, and then when I corrected to that spot, it would then strike where I had been pointing at earlier. I did, however, get a photo of lightning over Dorchester Heights/Telegraph Hill. 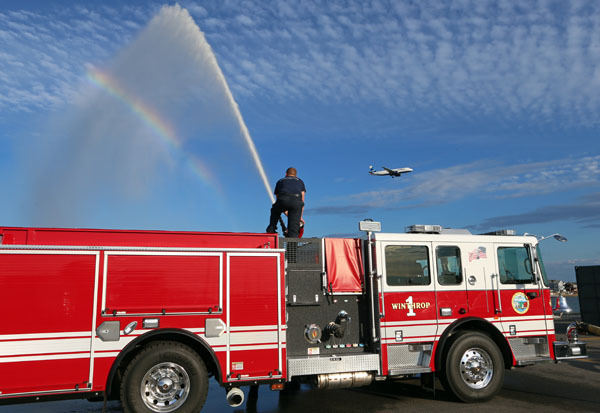 The second storm roared out of the Littleton area and moved toward Beverly. I chose to speed toward Marblehead, as I wanted to try for lightning over the historic Abbott Hall. 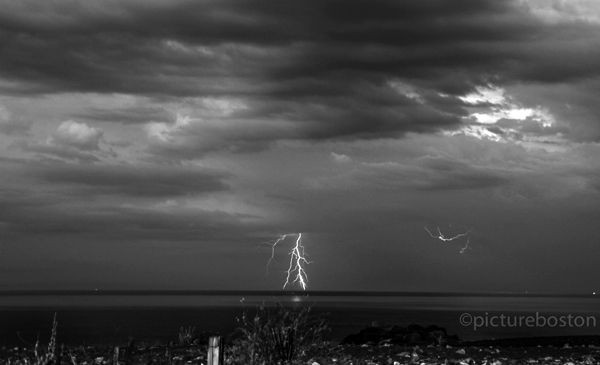 This venture was unsuccessful regarding lightning, however I did capture the ominous clouds exiting Marblehead neck. I then realized that the weather radar was showing a different storm, taking a more southerly track that appeared to be heading for Boston. I viewed the radar and chose East Boston as my best bet to capture lightning over the city. I arrived in Eastie and set up the tripod and started to shoot, framing the city’s Financial and Seaport Districts. This worked well, as in a flash of 1/8th of a second, two large and branching bolts appeared. I was using a Canon 100-400mm at F.6.4 and a 50 ISO speed. The last storm was exiting the region from between Deer Island and Quincy. I chose to turn the camera black and white for this photo. 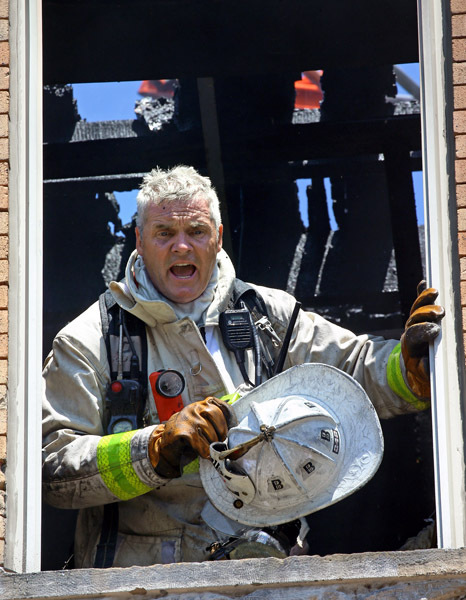 Below are my photos from Tuesday. Thanks for viewing. 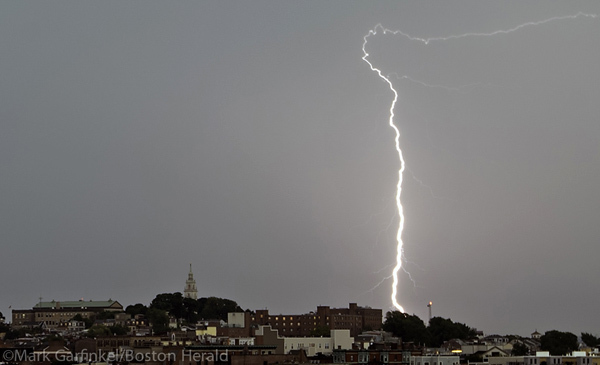 Above, lightning strikes in back of Southie’s Telegraph Hill/Dorchester Height, during the first of 4 thunderstorms that affected the region on Tuesday. Above, lightning strikes over Eastie, Tuesday morning. 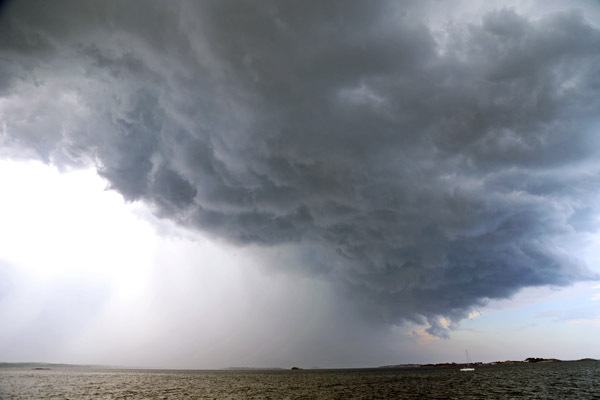 Above, the second of 4 thunderstorms exits the region off of Marblehead Neck. 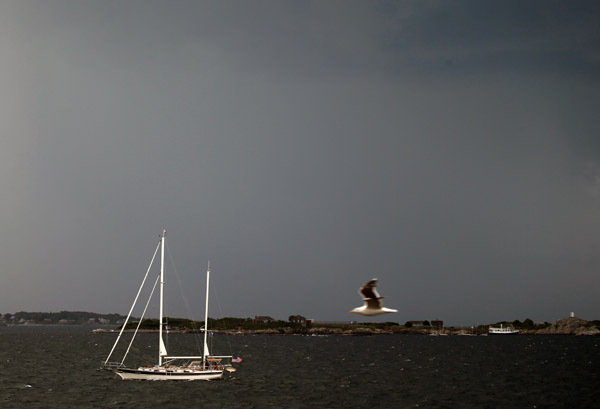 Above, a sailboat escapes the Marblehead lightning, choosing to come into port shortly after the storm. 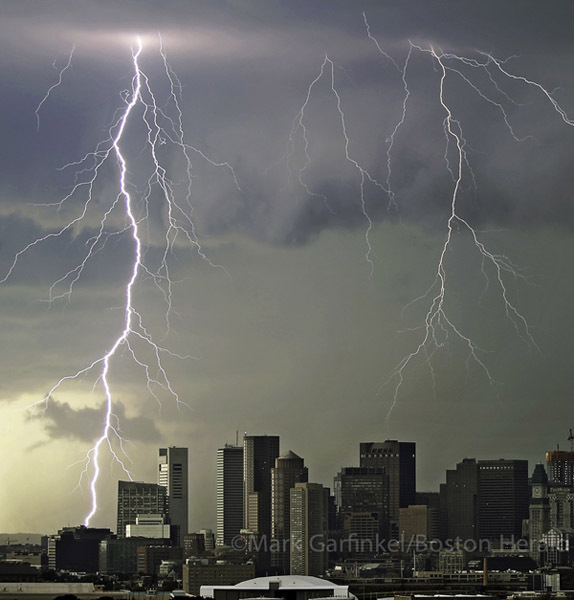 Above, lightning strikes over the Boston skyline, Tuesday afternoon. 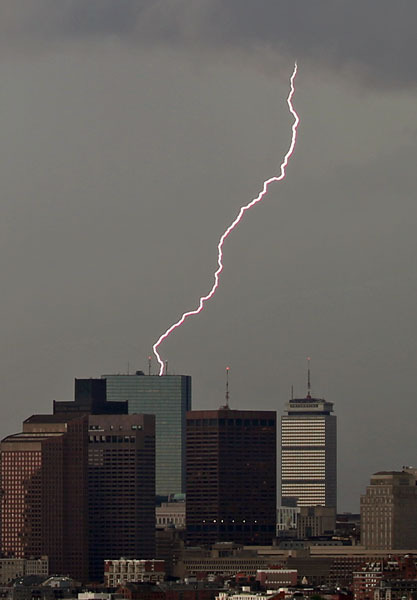 Above, lightning strikes over Boston’s Financial and Seaport Districts during Tuesday afternoon’s thunderstorm activity. 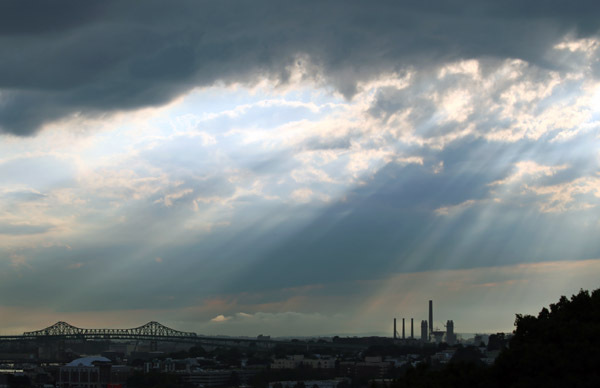 Above, the Tuesday afternoon storm clears over the Tobin Bridge. Lightning exits the Massachusetts east coast between Winthrop and Quincy, during the last of the thunderstorms, Tuesday evening. 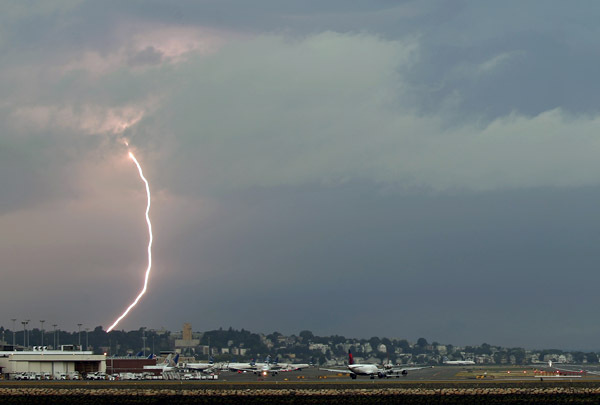 Posted in Uncategorized | Comments Off on More #Boston area lightning and cloud photos from Tuesday’s weather. 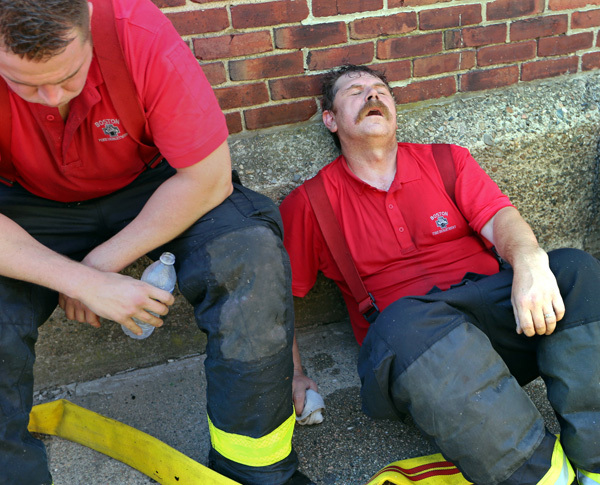 Boston firefighters work at scene of 3 alarm fire Friday. 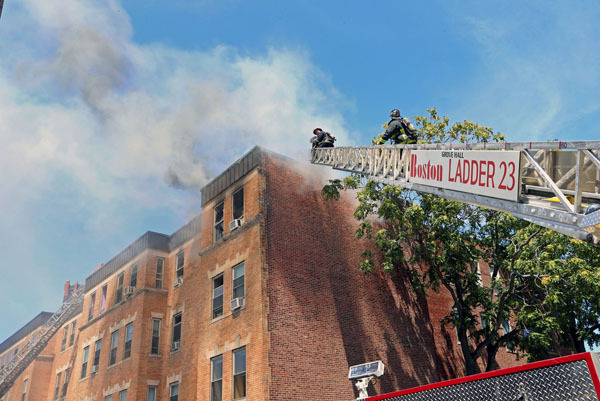 Boston firefighters worked a hot fire yesterday on Waverly St., in Roxbury. The Dudley Sq. 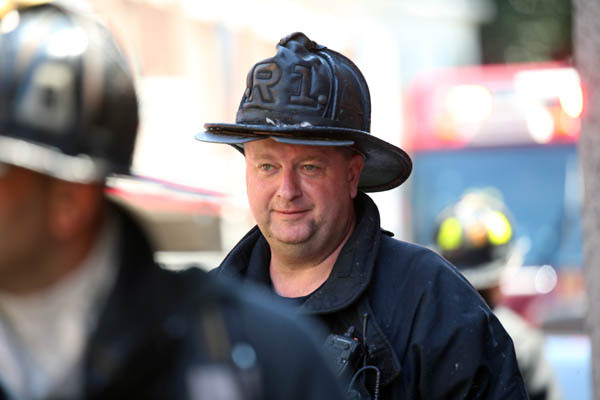 crew, comprised of Ladder 4 and Engine 14 and Safety Chief H-1, was first on the scene. 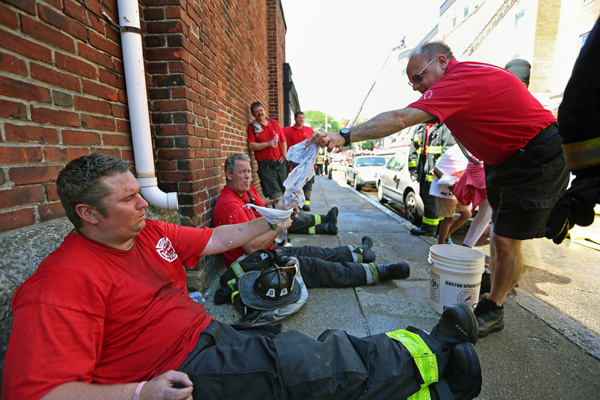 Here are some of my photos from yesterday, and here is the Boston Herald story. 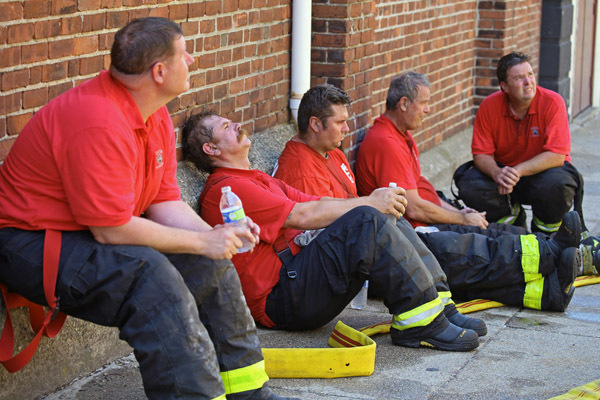 Posted in Uncategorized | Comments Off on Boston firefighters work at scene of 3 alarm fire Friday.